In recent decades, ocean temperatures in many places have warmed by nearly 3 degrees Fahrenheit. An effect of this warmer water is the decimation of what were once luxuriant giant kelp forests in eastern Australia and Tasmania. There used to be thick canopies covering much of the region’s coastal sea surface, but they have wilted in the intolerably warm and nutrient-poor water. Worse yet, a species of sea urchin that thrives in warmer water moved in and mowed down much of the remaining underwater vegetation, creating what are known as urchin barrens, which are bleak marine environments largely devoid of life. Urchin barrens are an extraordinary phenomenon in marine ecology. Once established, they tend to persist almost indefinitely. Today, more than 95% of Tasmania’s kelp forests are gone. Similar things have been happening in western Australia, southern Norway, and in northern California. In California, a mysterious blight that wiped out large numbers of sea stars that eat urchins resulted in a one-two punch of warmer water and booming urchin populations that severely damaged kelp forests. Environmentalists in many places are trying to take action to reverse this trend. In Tasmania, the best strategy is to boost populations of predatory rock lobsters, which prey on sea urchins. But once the urchin barrens form, there is basically no way back. The concern about kelp is not just about the giant underwater algae itself. There are many marine animals that depend on kelp including abalone, commercially valuable urchin species and many kinds of fish. 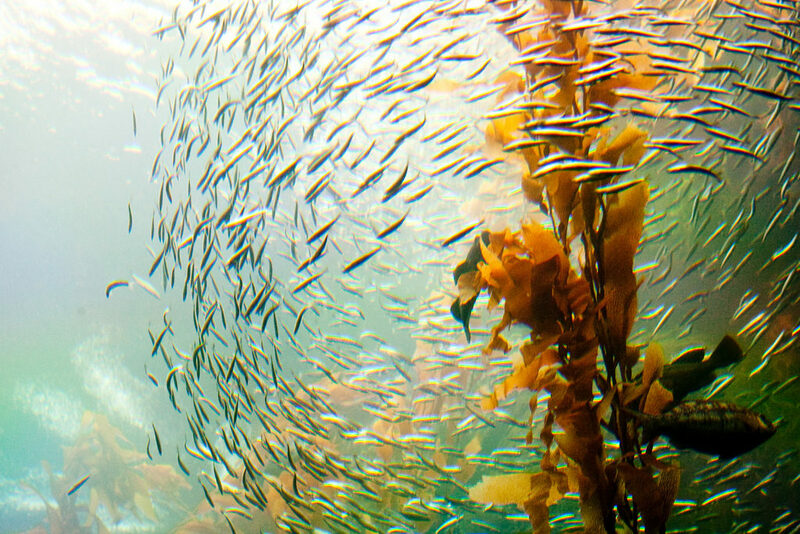 The destruction of the kelp forests is a major disruption of marine ecosystems that will have far-ranging impacts. Photo, posted October 29, 2010, courtesy of Tom Thai via Flickr. ‘Disappearing Kelp Forests’ from Earth Wise is a production of WAMC Northeast Public Radio.